Are you looking for an easy way to make a lease that’s unique to your business but also includes all the legalese? 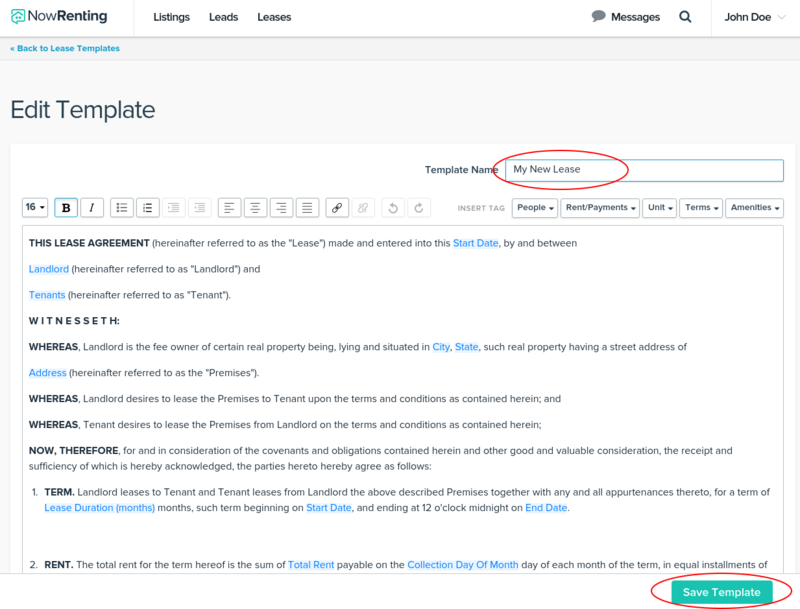 With our duplication feature, the NowRenting Default Lease Template is effectively an editable premade lease agreement: the default lease template is always available, and cannot be edited, but if you duplicate it, that copy can be edited freely. 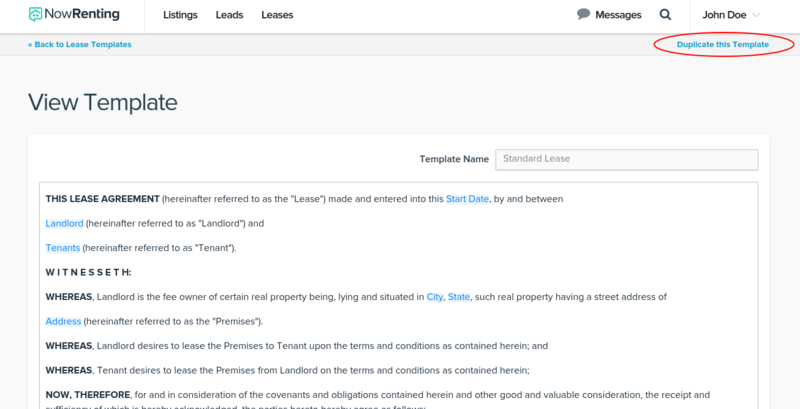 For more information on how NowRenting’s Lease Templates work, see here. 1. Use the dropdown menu in the upper right to navigate to the Lease Templates page. 2. Click the Details link next to the Lease you want to duplicate. 3. Click the Duplicate this Template link in the upper right. 4. Be sure to give your new Lease Template a name, and to save it by clicking Save Template in the lower right. Note: The tags in blue are variables whose values are drawn from a Lease.